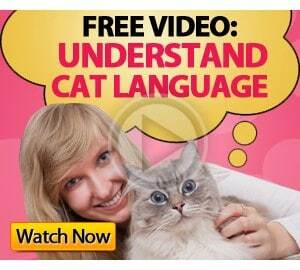 Did you know it is relatively easy to train your cat to use a human toilet? While this is not for everyone, thousands of people have cats that use their own toilet. Imagine … no more litter clean-up, no more money spent on litter or cleaning up litter trays. There is a special “train cat to use toilet kit” called the Litter Kwitter, that makes the whole process a simple step-by-step way to get your own cat doing just that. This Cat Toilet Training System is a unique, patented & proven device that helps people train their cats to use the regular household toilet. It fits all standard toilets & ships with a step-by-step training DVD plus a full color instruction book so anyone can do it. Cats bury their waste in a litter tray to hide the odor from predators. This is a survival instinct. When they use the toilet instead of the litter tray the water in the pan hides the odor more effectively and the cat is satisfied. The Litter Kwitter leads the cat through three stages of behavior modification to teach the cat how to balance on the toilet, how to aim correctly into the pan and finally how to go without the need for litter. The Litter Kwitter trains your cat to go into the bathroom whenever they need to ‘go,’ and to hop up onto the toilet to do it.